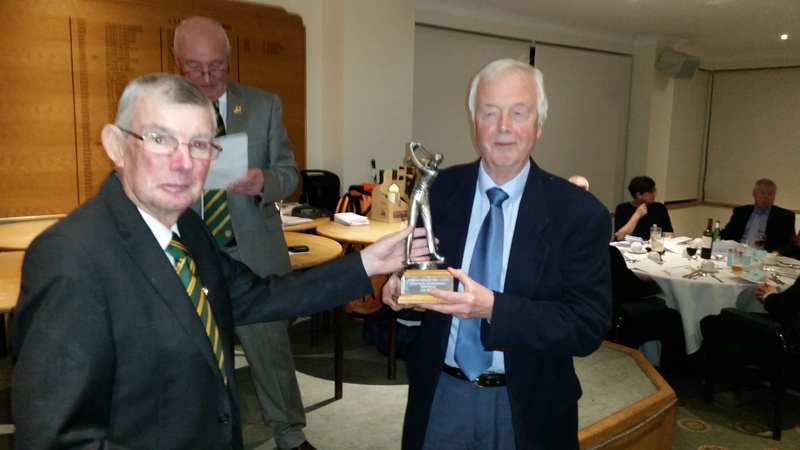 Spring Meeting Scratch and Order of Merit Winner – Andy Campbell (Dumbarton) – Andy unable to attend, trophies picked up by a Dumbarton Official. 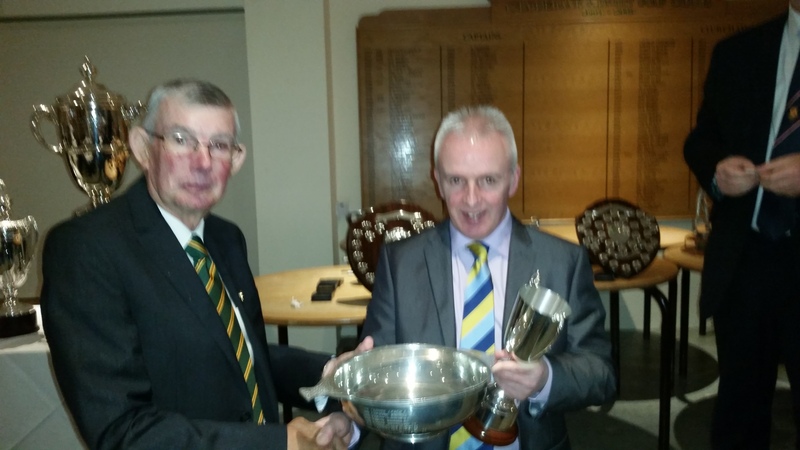 Handicap Players Championship winner David Wylie (Lenzie). 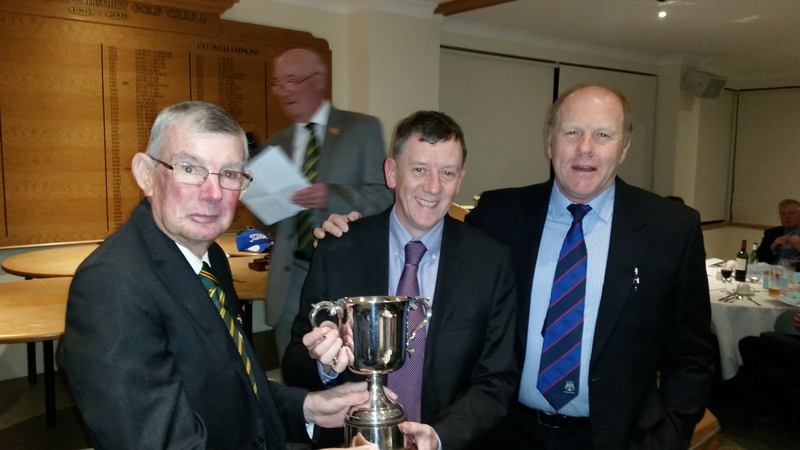 Trophy presented to club official. 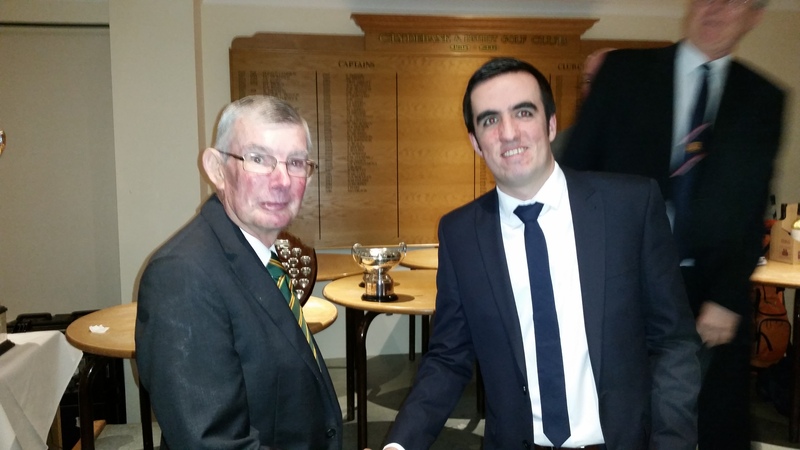 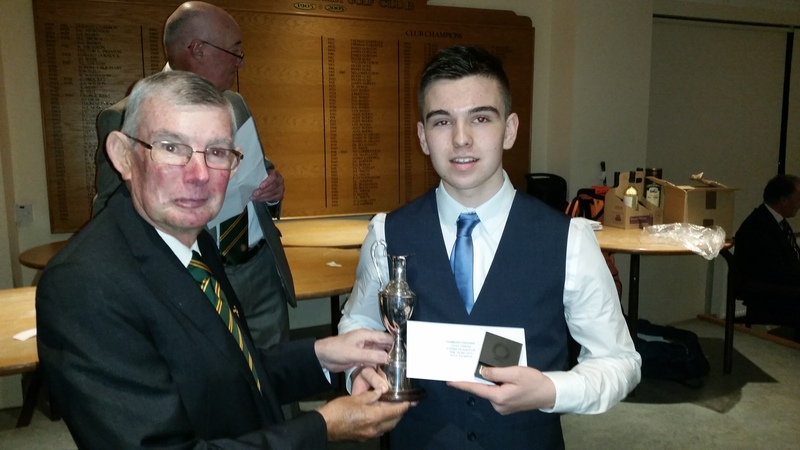 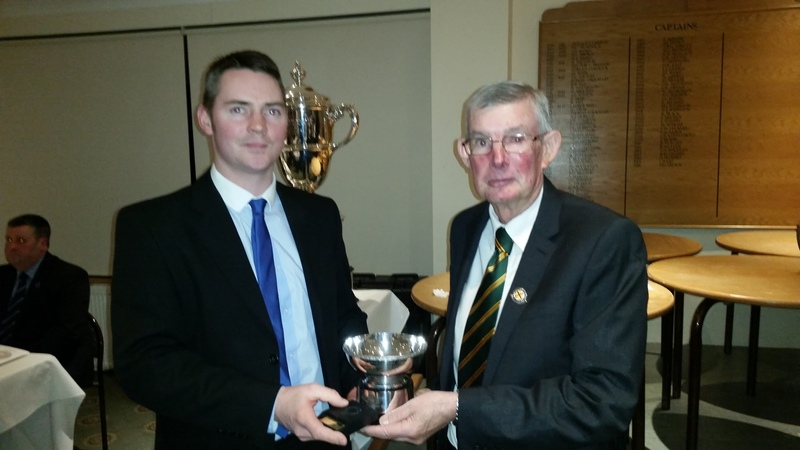 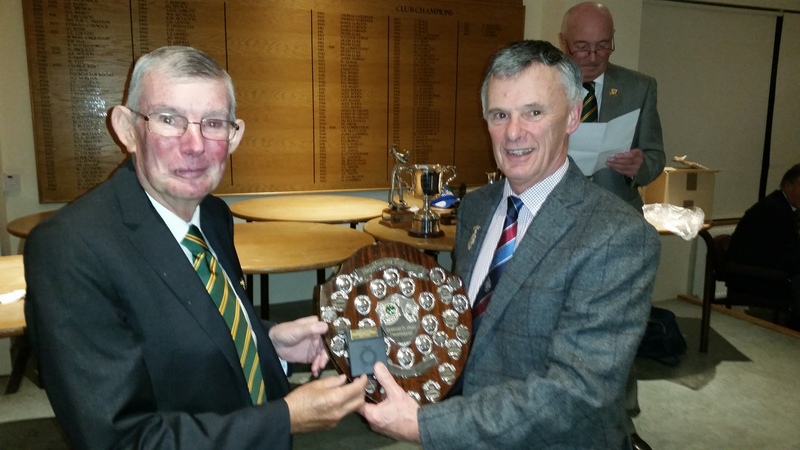 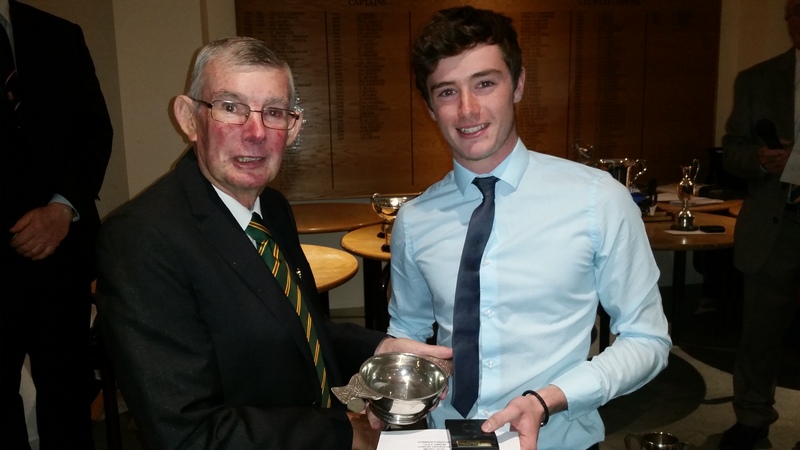 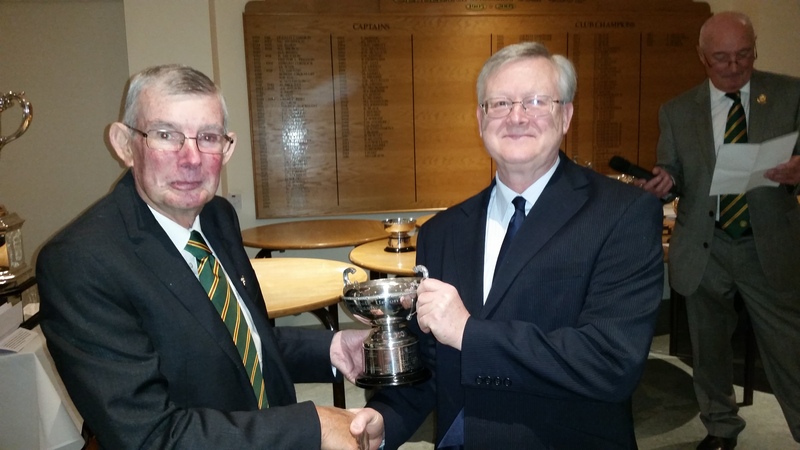 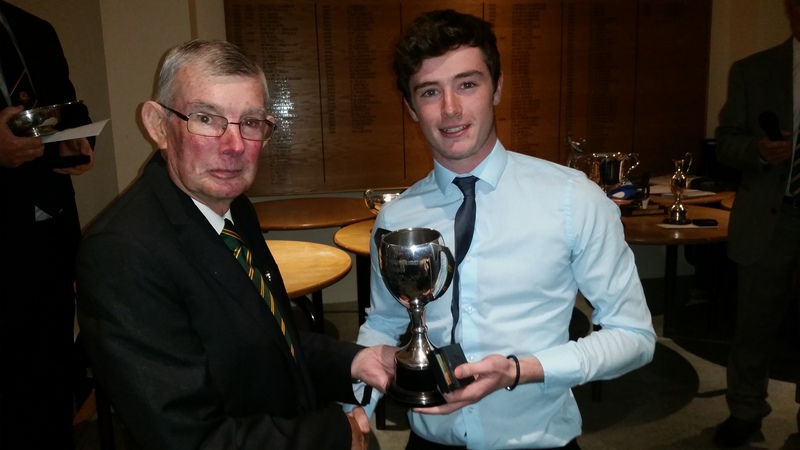 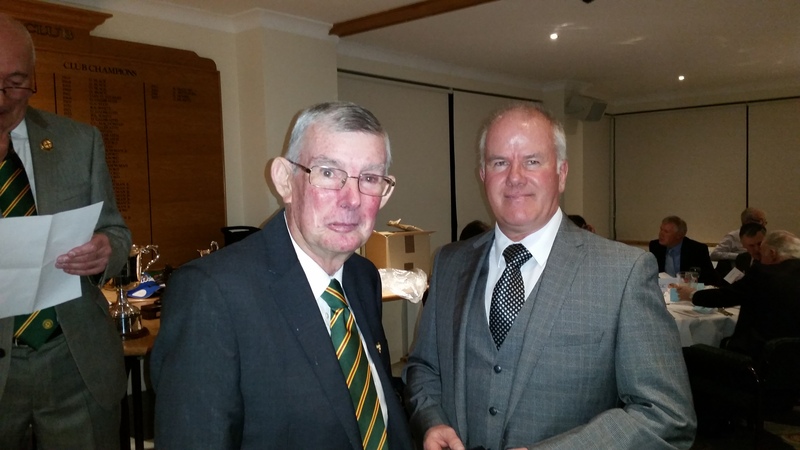 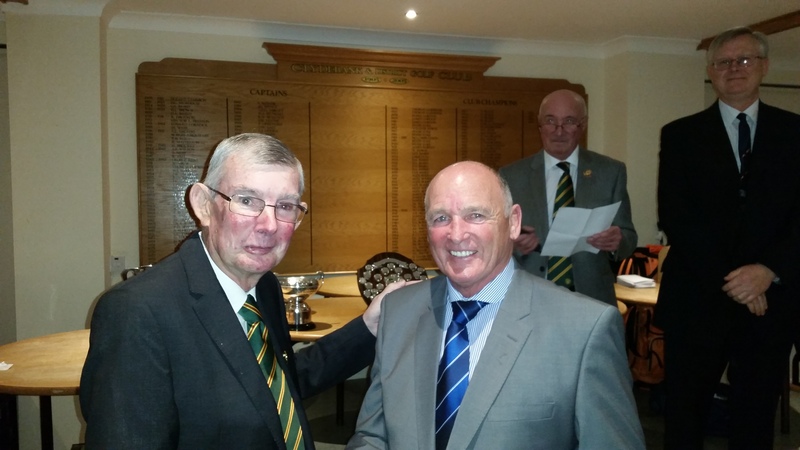 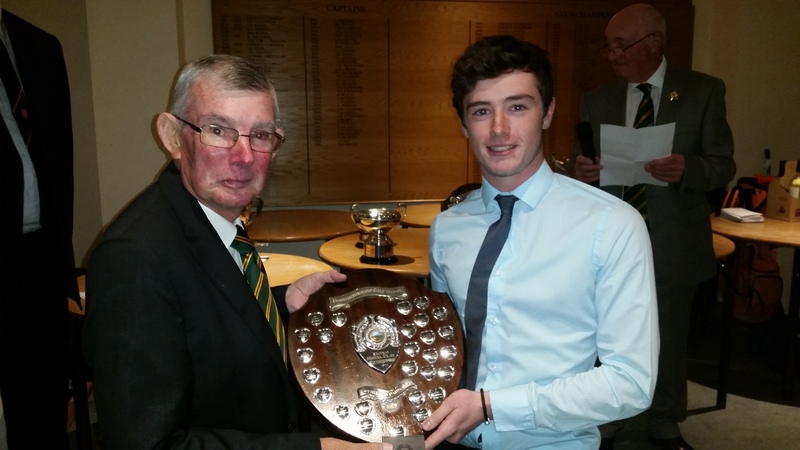 DGU President Hugh Semple with Ewen Ferguson, DGU player of the year. 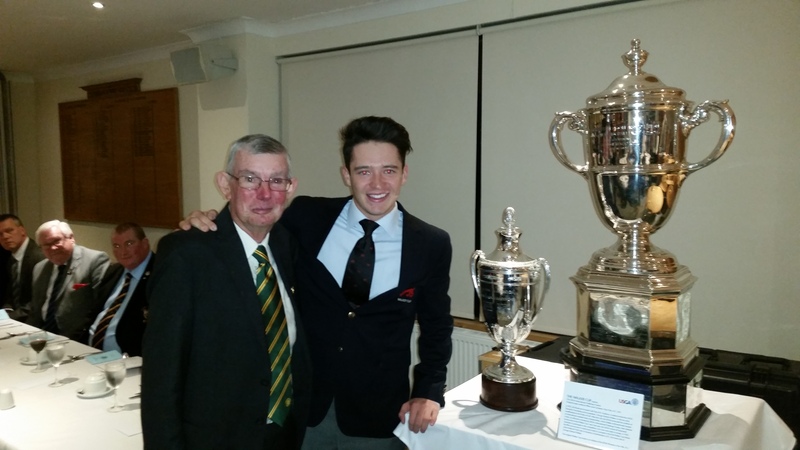 Pictured with the European Team Championship won by Scotland and The Walker Cup won by GB&I, Ewen being a member of both teams. 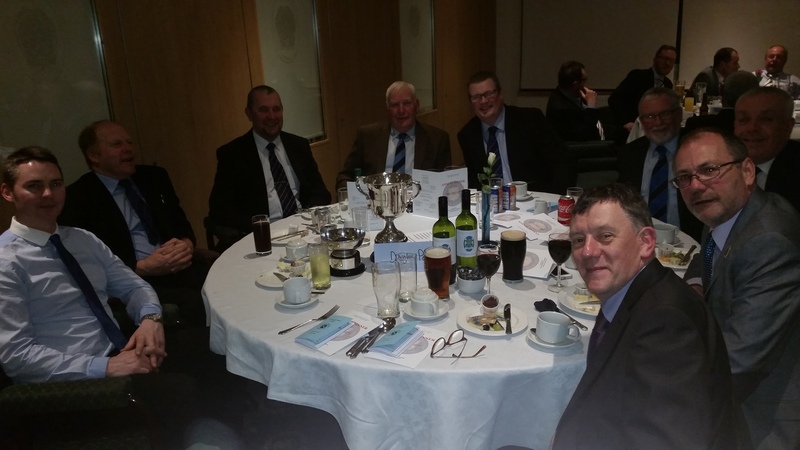 Clydebank & District GC table. 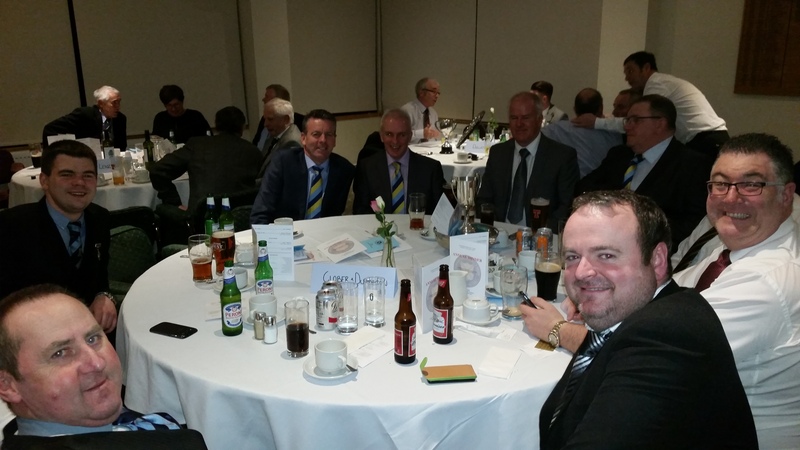 Dumbarton / Clober GC table. 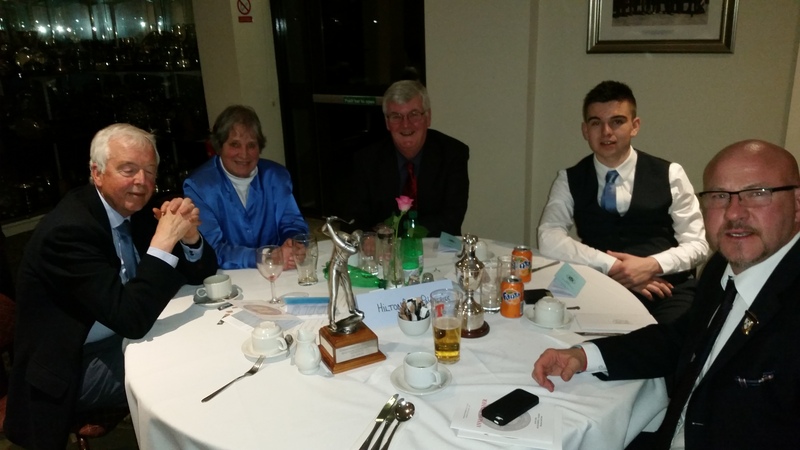 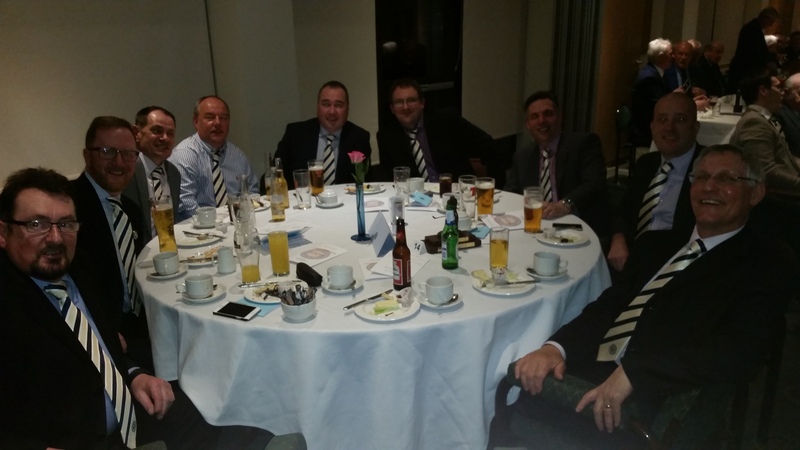 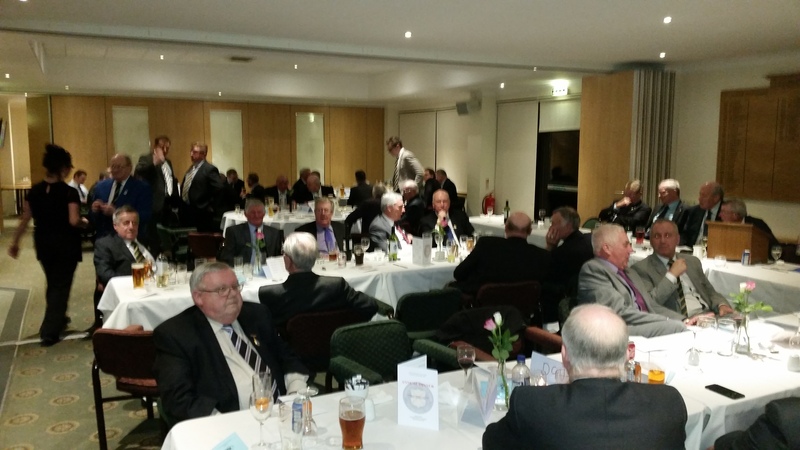 Hilton Park GC / Palacerigg GC table.